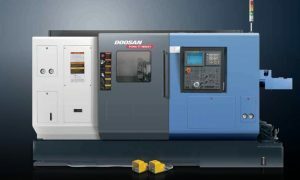 Puma SMX Series, Doosan’s next generation Multi-tasking Turning Center, features high productivity, high precision and easy operation. 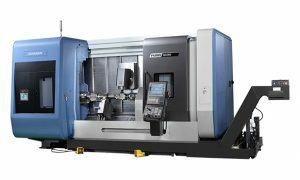 By intergrating the capabilities of multiple machines into one system, the PUMA SMX series provides best in class machining operations. 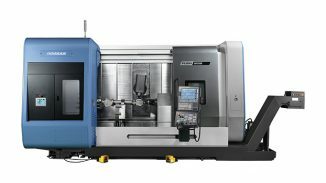 The PUMA SMX series also provides excellent performance for high precision machining by minimizing thermal deformation and applying an accuracy control feature based on multiple thermal compensation functions. Ergonomic design considering operator convenience and efficient maintenance provides an optimal solution that meets the customer’s needs. Complex machining capabilities of left spindle, right spindle, B-axis and milling spindle. Maximized Y-axis machining area through orthogonal design structure. Adoption of roller LM guideways with high rigidity and high precision. Equipped with 0.0001֯ B – axis and C -axis accuracy control function. Địa chỉ VP: 236/29/13 Điện Biên Phủ, Phường 17, Quận Bình Thạnh, TP Hồ Chí Minh, Việt Nam.